Overall, current London bus travellers value changes in their waiting time at the bus s top 2 times more than changes in their in-vehicle time. Focusing on train/metro travel we investigate whether Europeans perceive similar security and privacy issues as have been raised in recent discussions about surveillance. 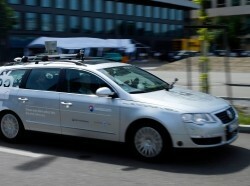 In this December 2013 Congressional Briefing, Johanna Zmud and Peter Phleps illustrate two distinct scenarios for the future of mobility 17 years from now and how choices that policymakers make today will affect the future of mobility in America. A proposed 15-cents-a-gallon gas tax is worth a second look. Among various painful options put forward in the Deficit Reduction Commission's draft report, this tax hike may be well justified, writes Martin Wachs. 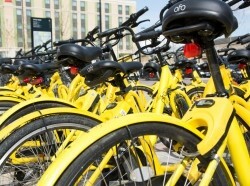 Surface Transportation Finance: The End of User Financing or a New Beginning? 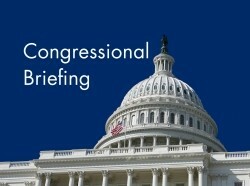 In this March 8, 2010, Congressional Briefing, Martin Wachs and Paul Sorensen discuss alternative funding streams for highway and public transportation improvements that Congress can consider as it focuses on the pending reauthorization of the federal transportation bill. The congestion charge on motorists in central London… has brought substantial benefits to those who live and work in London — whether they drive or take mass transit — and it could do the same in traffic-clogged cities in the United States, writes Cameron Munro. Measures the use of public transportation by students in the Netherlands who own a Public Transport Pass, and analyses and expands upon the resulting data.